The outcome of the September 12 2012 elections in the Netherlands, in which prime minister Mark Rutte’s liberal VVD party took the largest share of votes while Euroskeptic parties were dealt a major blow, could reflect positively on Bulgaria’s prospects of being admitted to membership of the European Union’s Schengen visa zone, according to Bulgarian Deputy Prime Minister Tsvetan Tsvetanov. 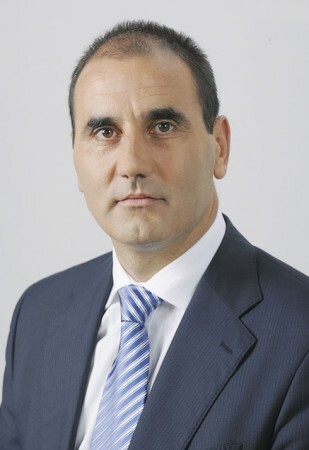 However, Tsvetanov, also the country’s Interior Minister, told public broadcaster Bulgarian National Television that he could not commit to any specific forecast before EU interior ministers hold a joint meeting. The meeting of EU interior ministers that had been scheduled for September 20, at which the admission of Bulgaria and Romania to Schengen would have been discussed, has been postponed. Reports have suggested that this is because full agreement among EU countries on allowing the two countries into Schengen has not been achieved. For more than a year, the Netherlands has been the firmest public voice against admitting Bulgaria and Romania – which joined the EU in January 2007 – into Schengen, citing inadequate progress by the two countries against organised crime and corruption. Recently, there also have been some signals from Germany about whether Bulgaria and Romania should be admitted to Schengen. Further, controversy over political dramas in Romania around the attempted impeachment of president Traian Basescu are seen in some quarters as having complicated the issue and soured attitudes in the EU towards Romania. Tsvetanov said that ahead of the European Council in October, the positions of the Netherlands and Germany on the Schengen issue would have to be awaited. He said that going by conversations he had held in the past few days, a decision could be postponed until after an assessment of Romania, at the end of December. Separately, Romanian media reports said that a decision on the Schengen admission of Bulgaria and Romania could be postponed until spring 2013. Over the past two years, the efforts of the European Commission, a succession of presidencies of the EU and calls by the European Parliament have failed to result in Bulgaria and Romania being allowed into Schengen. Sofia and Bucharest have insisted repeatedly that their countries meet the technical requirements for Schengen and continual blocking of their admission is unfair. At the time that Dutch voters went to the polls, Bulgarian Finance Minister and Deputy Prime Minister Simeon Dyankov was quoted by Dutch media as having said that Bulgaria’s and Romania’s Schengen admission had fallen victim to “populist and nationalist moods” in the Netherlands. This has been the message on a number of occasions from top Bulgarian leaders, who have said that progress on Schengen was being held hostage because of populist politicians in theNetherlands– a reference to Geert Wilder’s Euroskeptic party, which, however, saw significant reverses in the September 12 elections. Earlier this week, speaking in the European Parliament, European Commission President Jose Barroso said: “We have already said that we believe that Romania and Bulgaria meet the necessary conditions to become members of the Schengen area. And I want to reiterate it here, today. That does not mean of course that we do not have the right to act when we believe some of the decisions taken by any of our member states can put into question some of the principles of the rule of law that all member states accepted”.